It’s pictures like this that show up in my email that make me want unusual pets. I mean, COME ON! How could you look at that little face and not want to bring him home and call him Petey?? Course, eating bacon would become awkward. Petey is the name of your goat! Why do you keep naming your farm animals after my Husband??? I love you so! I figure I won’t get to have them all at once so I can have one Petey at a time. Besides, I had Petey (in my head) long before you got a human one! LOOL! 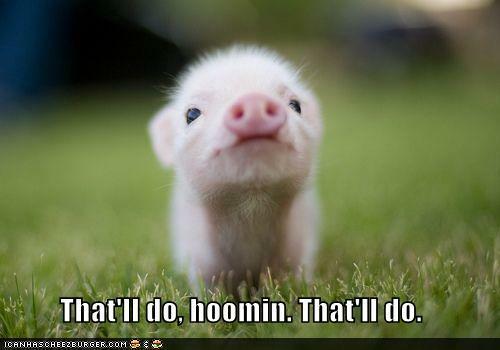 My husband and had a similar debate about getting a teacup piggie! Owww….he is so cute! The photographer is really good,i rarely think pig can be that cute.